Black Friday is a gold mine for e-Commerce entrepreneurs. The numbers back this up wholefully. At the peak of the 2017 weekend-long Black Friday bonanza – which starts the Friday after Thanksgiving and stretches through the following Monday – Shopify merchants were processing $1,138,574 per minute in sales. Simply put, this is the most critical time of the year for e-Commerce. This is the article for you. We’ll go through some of the best dropshipping products to sell to the US on Black Friday and Cyber Monday 2018. The list is compiled using data from various high profile dropshipping marketplaces (like Oberlo & Doba) and Google Trends data. ->> 9 best dropshipping suppliers for your e-Commerce business. Okay, there’s a lot to cover, so let’s get right into it. 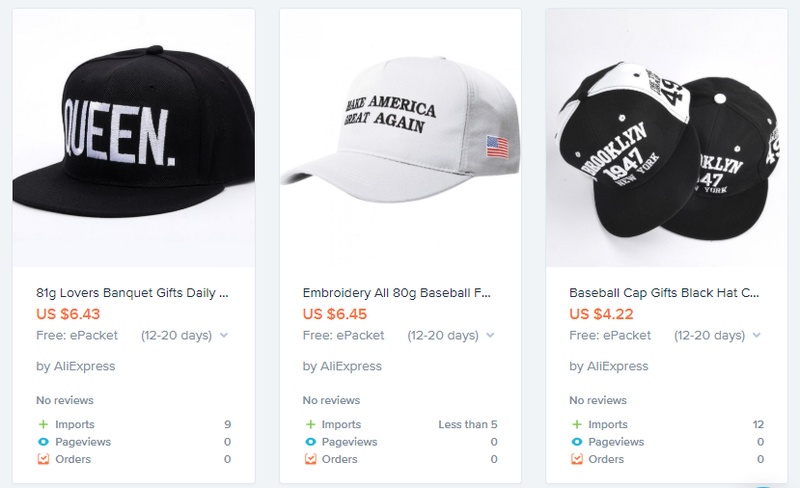 First up on our list of the best dropshipping products to sell to the US on Black Friday 2018, we’ve got baseball caps. For sure, but that’s exactly why we’ve included them in this list! Sure, trending products can really help you to skyrocket sales during Black Friday, but it isn’t always about finding the hottest new products. Remember, if you’re selling new products to your audience, you’re going to have a harder time convincing them why they need it in the first place. So give baseball caps a try this Black Friday – Vietnamese entrepreneurs are already finding success with these products. Next up we’ve got wireless speakers – another great dropshipping product to sell to the US on Black Friday 2018. Why wireless speakers? It’s simple: People love listening to music, but they hate wires. Seriously, just think about how insane it is the amount of times that you yourself have probably neatly put away your earphones.. only to come back later and find out that they’re now a tangled mess. 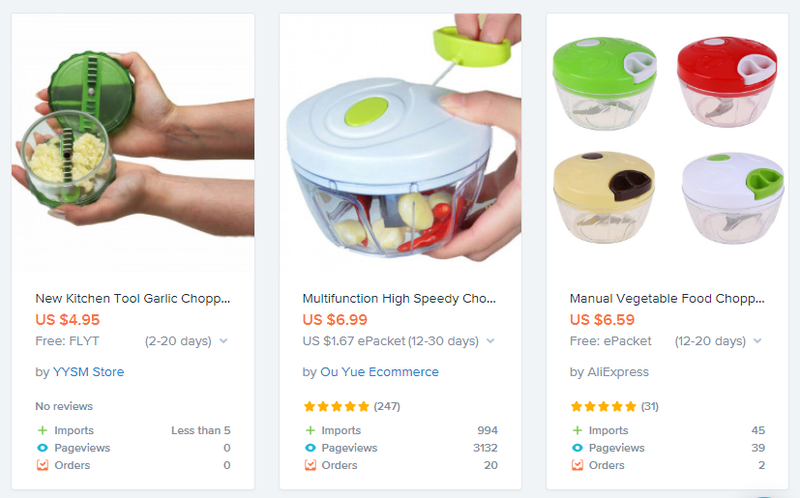 They’re relatively cheap to source, they’re light so they’re simple to ship, and they’re a product which has a clear audience that you can tap into – pretty much everything that makes a successful dropshipping product. ->> What makes a product that sells when practice dropshipping? 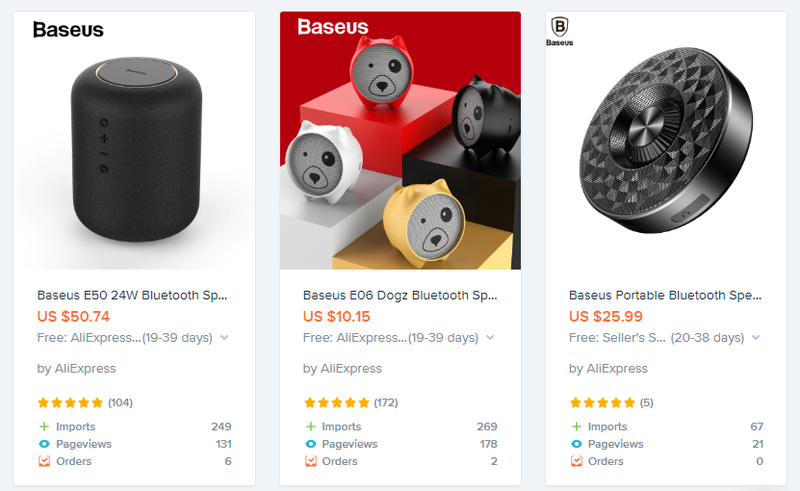 All in all, wireless speakers are a great dropshipping product to sell to the US on Black Friday 2018. 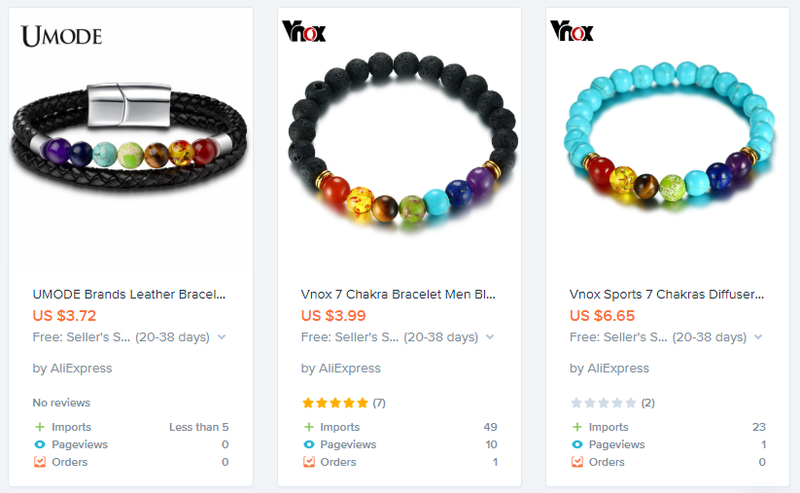 Americans are becoming more and more interested in well-being and spirituality, which is exactly why we’ve included chakra bracelets in our list of the best dropshipping products on Black Friday. Take advantage of these insights and try to find success with these products. We’re sure that they’re a great dropshipping product on Black Friday 2018. Whether you’re a serial snorer yourself, or you unluckily live with somebody who sounds like a walrus while they’re sleeping, you probably know how annoying snoring can be. And you’ll also know how much of a game changer our next suggested product is. Anti snoring devices are next up on our list of of the best dropshipping products to sell to the US for Black Friday 2018. 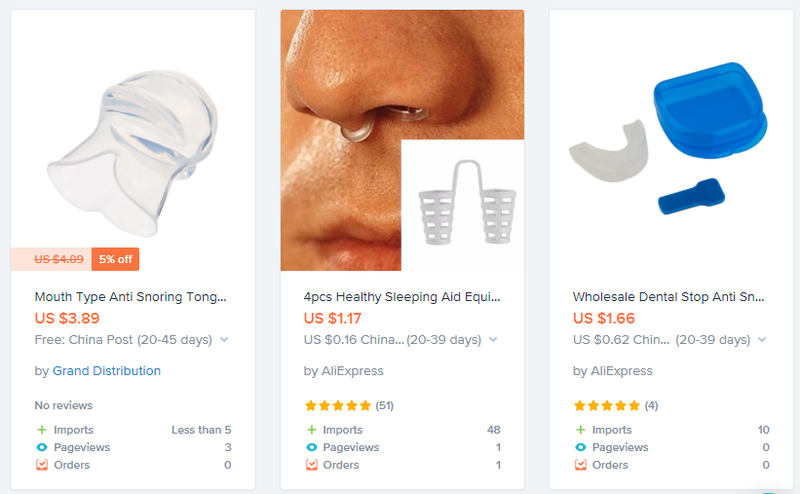 There are a few different varieties of anti snoring devices which you can find on marketplaces – some of them are inserted into the nose, others are placed around the jaw – but all of them are great options for dropshippers. 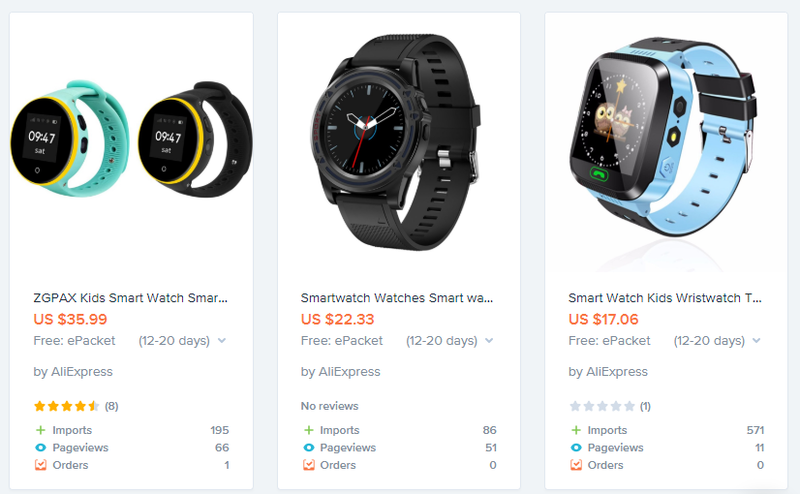 These unique products allow for great price markups, are easy to ship (which means you can take advantage of our international single order shipping service), and they’re fairly new – which is a great combination for entrepreneurs. This means that shoppers have interest for wine tumblers year round, not just for Black Friday – which takes us back to the case of baseball caps. These products are available in a range of different styles and sizes, so feel free to test out different wine tumblers in the build up to Black Friday and try to gain an understanding of which types your audience is most interested in. 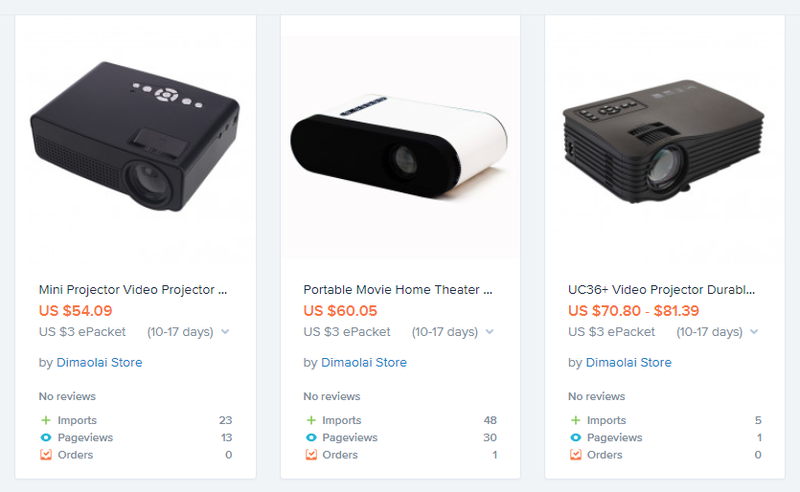 Next up on our list of the best dropshipping products to sell to the US for Black Friday, we’ve got mini projectors. All they’ll need to do is connect their mini projector to their laptop or smartphone, and the projector will beam visual content onto a much larger surface, like a wall or even a piece of curtain. Perfect for those cold nights when all you want to do is relax at home and have a movie date. Remember, these projectors are mini. That means that they’re light and compact, so again, they’re going to be eligible for single order shipping. If you’re running a tech store, or you’re looking to start one, this product could also be perfect for you. The holiday season is a time for family gathering, and when people gather, they cook. It is also worth mentioning that similar kitchenware products like this work really well for video advertisements, so take that into consideration when you’re trying to come up with Black Friday marketing campaigns. Let’s be honest, it’s always quite sad to see our pooches soaking wet after a rainy walk. But our little furry friends don’t need to look like drowned rats every time they go outside in winter. These unique products function exactly like a raincoat for humans does – pop it onto them and they’ll be shielded from any harsh weather (plus they’ll be ready for at least one cute Instagram photoshoot). 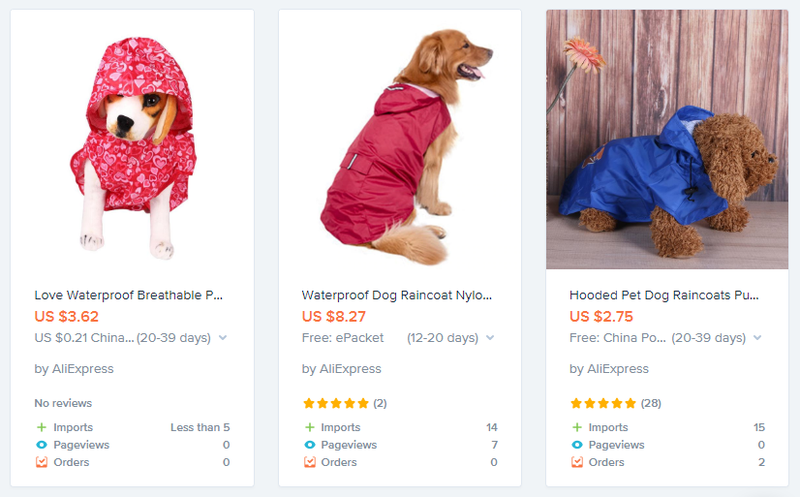 Pet raincoats are proving to be very popular on various marketplaces. On Oberlo, they have already registered lots of recent sales. Plus, the people who bought these products loved them – 4.7 stars is an excellent rating. These products usually skyrocket in popularity around Black Friday, and hit peak interest just before Christmas, which is why they’ve landed a spot on our list of the best dropshipping products to the US for Black Friday 2018. If you do decide to sell these products at a discount on Black Friday, remember to include the original price of the product in any marketing material that you create – it’ll really help your potential customers to understand the huge discount that they’re getting. Last up on our list of the best dropshipping products to sell to the US on Black Friday 2018, we’ve got oil diffusers. 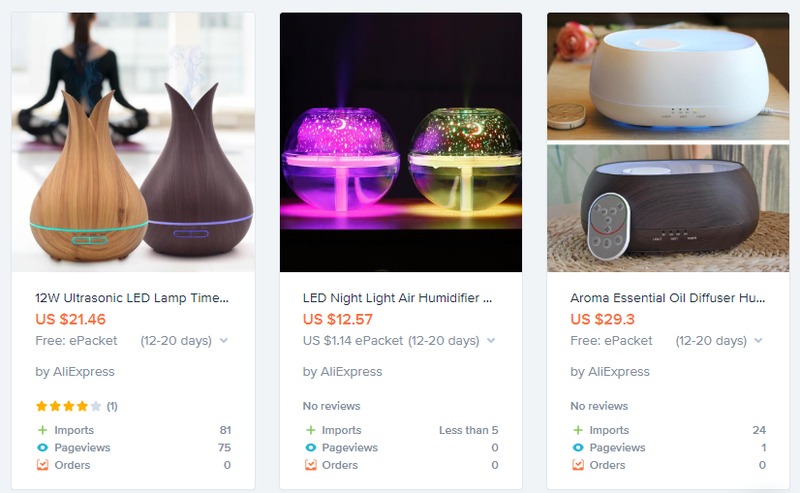 These products have really taken off recently – the oil diffuser above has generated sales by the thousands on marketplaces like Oberlo. Of course, this is promising news if you’re looking for products to sell this Black Friday. Remember, these products are just our recommendations. 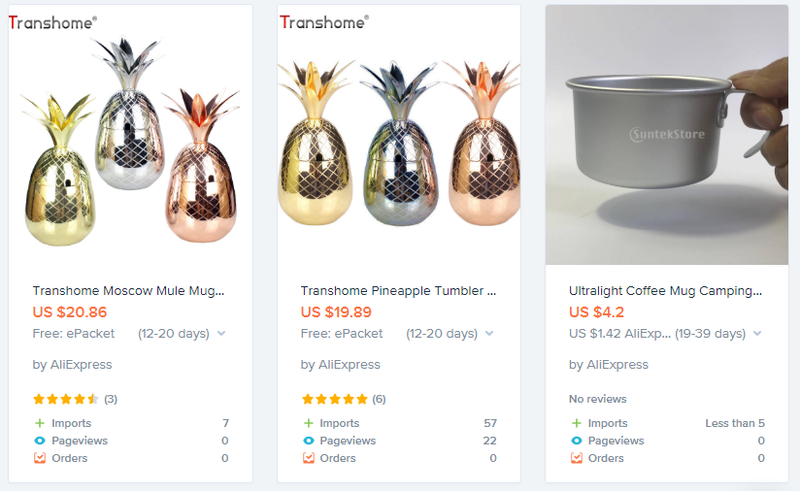 Use these to guide your thought process, and take a look through the best dropshipping suppliers’ websites for any other products that catch your eye. Once you’re done and ready to sell, especially as a FBM seller or operating on eBay, Etsy, Magento, etc.. Boxme can happily take over your shipping-to-the-US process. Our international single order shipping service, partnering with USPS, will enable you to practice dropshipping your Black Friday/Cyber Monday products to the US with ease. *Shipping single orders weigh below 0.5lb and 1lbs to the US for $8 and $9.5, respectively. *Lightning fast delivery time at approximately 10 to 14 days. *Full-tracking – easily keep an eye on your order at all time using your order ID. *Offered in limited numbers. Seize your chance now! **Note: Applicable to pick-up addresses in Hanoi and Hochiminh City from now to November 30, 2018. ->> Why you should leverage USPS’s international single order shipping service with the help from Boxme? ->> Fast & affordable international single order shipping & dropshipping from Vietnam – is it possible?